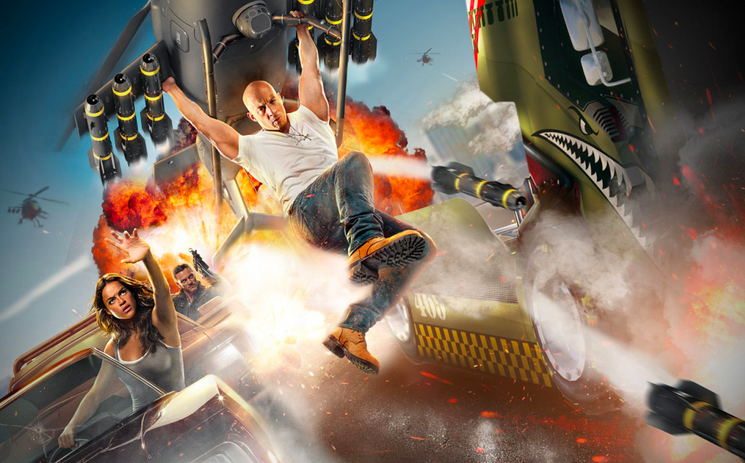 The announcement of Fast & Furious: Supercharged, opening at Universal Studios Florida in 2017, has got me thinking about one question: do we need more projection based attractions? To be clear, there is no question what a mega-franchise Fast & Furious is considering the seventh film grossed over $1.5 billion at the box office worldwide. Universal would be foolish not to bank on a successful franchise that it actually owns in their theme parks. In June 2015, Fast & Furious: Supercharged opened as the new finale to the famous Universal Studios Hollywood Backlot Tram Tour. Reviews are mixed at best, but the bottom line is that the franchise is popular enough that it brings in significant crowds. For those unfamiliar, Supercharged is the last stop on the tram tour which features other mini-attractions like Earthquake!, Jaws and King Kong 360 3D. 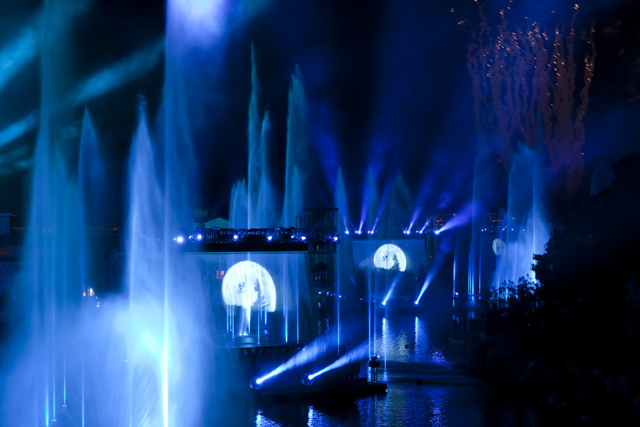 The 45-minute attraction is a mix of traversing through movie sets, and nearly every effect in the book is thrown at you, from fire to water and even using projection screens. 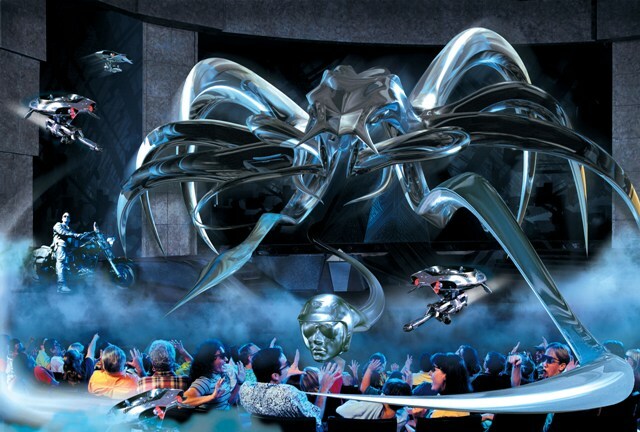 Even though both Kong 360 and Supercharged use enormous projection screens that utilize 3D technology, that still makes up less than a quarter of the entire attraction. However, at Universal Studios Florida, something different has happened. The original idea of Universal in Florida was to take apart the Backlot Tram Tour of Hollywood and make each mini-attraction within it a full blown stand-alone version. 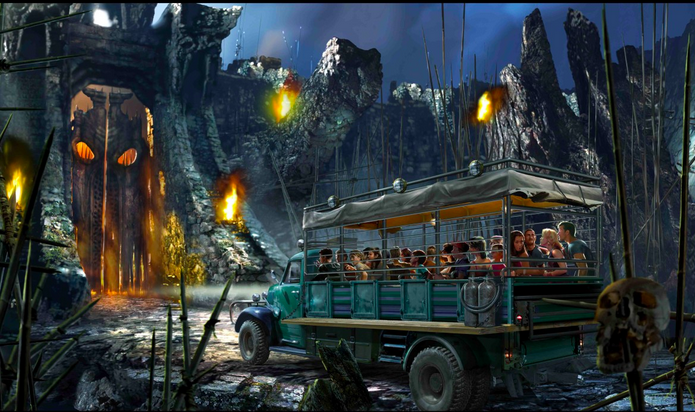 This trend continues with King Kong 360 3D being used as the springboard for Skull Island: Reign of Kong opening at Islands of Adventure next year. 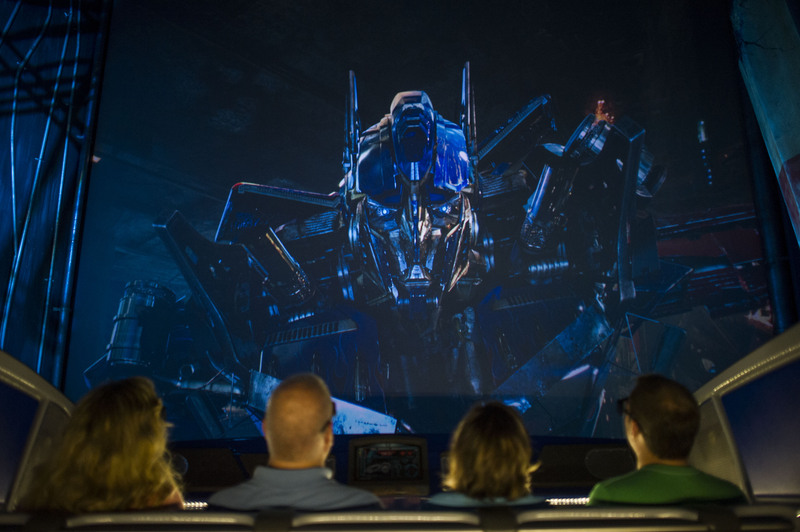 Make no mistake about it, while the ride will be more immersive (yes, I know it’s the most over used term in the industry right now) than the California counterpart, projection screens will be the primary effect used in the attraction. Fast & Furious: Supercharged is no different. The attraction uses 3D technology and surrounds the tram again with screens and also utilizes wind and water effects to bring you “into the movie.” But now we are looking at a definite pattern in terms of types of attractions found within the gates of Universal Studios Florida. Let’s take a step back and look at which attractions that require guests to look at a screen (or screens) throughout the majority of an attraction just at USF. 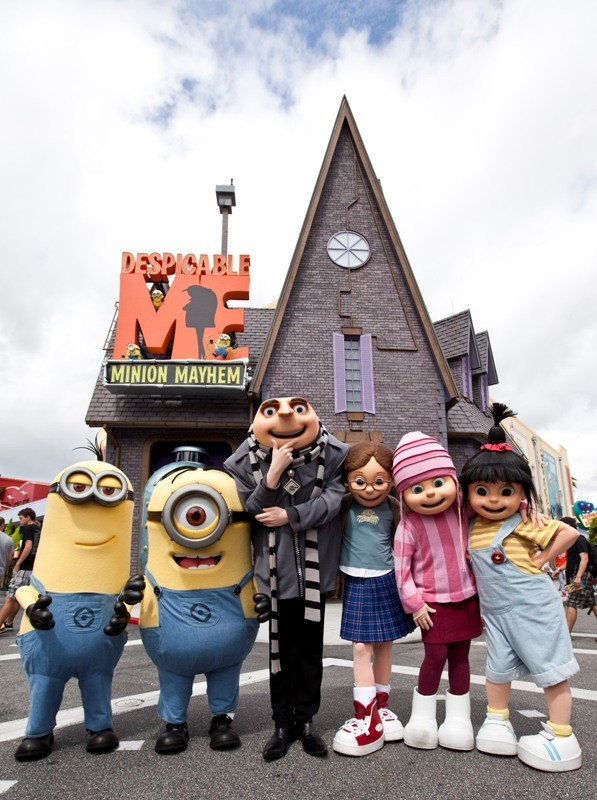 That list includes: Harry Potter and the Escape from Gringotts, Hogwarts Express, The Simpsons Ride, Transformers: The Ride, Shrek 4-D, Terminator 2: 3-D and Despicable Me: Minion Mayhem and Universal Cinematic Spectacular. By no means am I suggesting that any of these are bad attractions. On the contrary, many I consider to be some of the best in the industry. However, Supercharged marks the ninth attraction where screens are used and the seventh to use 3D glasses. At some point, when does the process of putting on 3D glasses for the seventh time in a day become old? An idea to the Operations team at USF: hand out 3D glasses at the front entrance and collect them upon exiting the park. You’ll save a ton in having to clean and restock them. What I love about great parks is the mix of attractions, from slow-paced attractions to action-packed roller coasters to dark rides and everything in between. Indeed, Universal Studios Florida still has all of those goodies in the park, but to me anyway, it just seems a bit watered down when we trade in physical sets for a movie screen nearly every single time. Your thoughts? Make sure to follow Theme Park University on Twitter ad like our Facebook Page! Doing any online shopping? Click on the Amazon links on this page and it helps us pay the bills and costs you nothing extra! This entry was posted in Universal and tagged Fast & Furious Supercharged, King Kong, Projection attractions, Universal Studios Florida. Bookmark the permalink. Trackbacks are closed, but you can post a comment. While I totally wish that Universal didn’t use so many screens in their attractions, I think it’s the way things are heading. I also expect that Disney’s Star Wars lands will also have a lot of screens as parts of those attractions. I’m relieved that Universal will also be using a Kong animatronic in the Florida version, though I recognize that’s just part of it. Regardless of whether it meets what I’d like to see, I expect that the Fast and the Furious addition to be a huge hit for USF. With this attraction and Kong coming in the next two years, it’s going to keep their attendance going strong. Projection based rides will be a lot easier to duplicate between the parks as the projected content is easy to copy. This has the advantage of allowing some of the costs to be shared between multiple parks it does reduce variety and the uniqueness of the parks. Another advantage is the ease of updating/re-theming video based rides (eg Back to the Future to Simpsons) as a lot of the building and equipment can be reused. This was my first thought when I heard it was coming to USF. I love The Forbidden Journey, but you definitely feel pulled out of the action whenever you transition from a set to one of the domed screens.